Let A Man be A Man, Part 1. Ladies, please let a man be a man. Step to the side and let him open the door for you. Some men really want to be a man and are a little offended when we try to do everything for ourself. This reminds me of one of my posts, Traditional Girl in a Modern Day World. Some of you modern day ladies want to do it all. Just chill out sometimes and uphold some of the traditions of a man being a man. What are your thoughts? Fellas, do you still open doors for women? 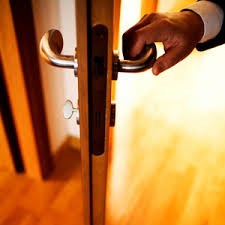 Women, do you step aside and let a man open the door for you? Next Khleo Thomas Admits to Being a “Side Hitta” and Explains What That Title Means + MORE!